Handwritten remarks: Heinz Schnelle, died in 1972. In October and November 1944 we were stationed in Enschede, Holland, near the German border. The location of our platoon was on a farm just outside of the city. The unit had been assembled from all parts of the Luftwaffe. Some of us had even been flying personnel! In Holland we received additional combat training. One fine day veteran paratroopers joined the platoon, after they had completed a deployment as combat group "Becker" against enemy paratroopers that had been dropped west of Kleve. Now they made up the core of our unit. Our unit was the assault platoon "Staff Company" of III. Battalion, ParaReg 5. The platoon leader was Sergeant First Class Paradeiser, and old comrade of the battalion commander, First Lieutenant Balfanz. Vice platoon leader was Sergeant M rkens. We also had six riflemen first class. The platoon's equipment was excellent. All riflemen had submachine guns or the 44 assault rifle, except for the machine gun personnel. We also had two groups with stovepipes. Additionally, some of the men carried grenade launchers. Everyone received a stiletto, which he tied to the leg of the boots. All MGs were of the 42 type. But the MG ammunition had flaws: waxed steel rounds, the empty shells jammed the hot barrels and started to burn. Like so many of my comrades I was only seventeen. An enemy reconnaissance plane circled above us. We disembarked during the day. In the evening of the 25th we began our march to the front at Langerwehe. We marched in goose-step order. The combat train formed the rear. It was a small wagon that was pulled by two horses. We had put all extra-equipment, ammunition, spare parts, and our food rations for the march on it. At dawn of the 26th we reached Birkersdorf, near Düren. We rested all day in the Jägerhof restaurant close by St. Mary's Hospital. In the hospital I found a book of prayers. It was the "Nachfolge Christi" by Thomas Kempis. I thought it'd be better to take it because at the front where I was going death was always close. I knew I could use it there. In the evening we marched on toward the front in Langerwehe, via Echtz. Once again we were in goose-step order. At first the march was quiet. Grenades detonated occasionally. If they were close by we could se the glowing splinters flying in the dark. Then the Americans detected us. A heavy artillery-barrage followed suit and we all jumped into the ditch. The earth was shaking. It was too much to take for the horses who took of with blazing speed into the darkness of the night. Fortunately, the enemy fire was wide  and thus missed us. Shortly after the first barrage, a new assault set in, wide again. During the later part of the night we reached Langerwehe. Our position was to be found near the battalion command post in the basement of a needle factory on Sch nthal Road. Platoon leader Paradeiser and the group leaders Jesse and Engelbrecht, who had reached the front ahead of us, during the day, had already been wounded and taken back to the rear. A grenade had come through the shaft of the basement's window and had exploded there. Our battalion was assigned a base in the sector Merode-Jüngersdorf-Langerwehe city limits. The situation at the front was completely unclear but we were supposed to recover the main-combat line. It was still dark when the whole platoon was sent to scout the ascending territory above the needle factory, southeast of Sch nthal Road. We were in a meadow below the forest and a group was picked to go ahead and find out if the enemy had already advanced to the edge of the forest. The group left, led by Lieutenant Hansen. A few minutes later we heard submachine gun fire in that direction. A man came running right at us but fell down about 10-15 meters away. It wasn't light enough yet to see who he was or why he had fallen down. Carefully, we approached him. And then we recognized him. It was Lt. Hansen, who had been hit in the stomach area by submachine gun fire. Already dying he said: "Tell my wife I love her!" Then he was gone. Still at dawn we returned to the basement. The whole neighborhood now lay under heavy artillery fire. Occasionally, when a shell exploded right above us, with that terrible noise and it caused everything to shake, and all eyes looked anxiously at the ceiling, that was bone chilling. The more experienced soldiers tried to calm us, and themselves, with funny proverbs and such. Otto Pape, our MG shooter, for instance shouted out: "Stop! Or I'll tell my dad!" He did so when another detonation had occurred just above our heads and tripled my heart rate. I held on to my book of prayers and started reading. Lt. Harnisch, a former AAA officer, asked me: "What are you reading there? Can I see that?" I gave him the book, he glanced at it, returned it: "You read that stuff?" I said I did and continued reading. I never found out what he meant because he died the next night --- they haven't even found his grave yet. The infantry troops who we had relieved had left weapons and ammunition behind. We gratefully took the additional ammo and Hans Hantke took the extra MG, a 34 type. At noon the order came: "Assault platoon march!" The Amis attacked. Just outside the basement entrance lay the burning head of a grenade launcher. Everybody hesitated, then jumped past it as quickly as possible. We ran back and forth between the needle factory and the tunnel under the tracks on Sch nthal Road, through gardens, backyards, stables, kitchens, living rooms, bedrooms, along the Wehebach, always under fire, sometimes even by phosphor grenades. Martin Wilde from Prenzlau was shot in the lungs and fell into the Wehebach but comrades pulled him right out. The needle factory above the combat post was hit and went into blazes. The commander thus moved his post to a dugout on the northern road near the tunnel. This is where the aid station was also located. On 12/27/44 the enemy attacked J ngersdorf and took the village. Subsequently, we received orders to regain Jüngersdorf on 11/28/44. Hence we moved away from the  tunnel, along the tracks until we were close to Jüngersdorf. The tracks run in a deep ditch in that area. Our group W st received the order to attack a single-standing house (Weiler) that stood in the direction of the attack, left of the village, toward Merode, and supposedly it was heavily fortified. We crept up the steep ditch into our attacking position. There we found two infantrymen who were waiting for their relief. Jüngersdorf was now just ahead. The field across which we had to attack was flat, no cover either! On the other side of the tracks an assault gun approached with loud engine noises. It was meant to support our charge but it had to remain on the other side of the tracks because the bridge had been destroyed. Only two shells were fired in our support by this gun! Those were tank-busting shells, heavy shells. We could see clearly how they bounced off their targets high into the air and then vanished --- they had been star-shell ammunition. This unnecessary firing exercise and the noise from the engine had of course warned the Amis. The could prepare for our attack and so they did. The first part of the assault went smoothly, just like on the training ground. The group leaders gave their orders and we started charging. But when the groups to our right had just reached the outskirts of the village, gunfire set in. Right away I could hear the men screaming: "Sergeant Mürkens down! Stomach wound!" To our right the battle raged in full steam and we approached house Weiler, our target, despite being under heavy fire ourselves. I was MG shooter No. 3, i.e. I was always a few meters behind the others. I also carried the ammunition. When the detonations came too close I could hide my head behind the two ammo boxes. The other groups stormed the village, shouting "hooray" and all. I only thought how many of them didn't even have a grown-man's voice yet! We were about 20 meters away from the house but we were stuck there. Constantly under Ami fire and we couldn't even see them! Whenever we thought we had silenced them with our Mg or submachine guns, they answered with the loud, rattling sound of their heavy MGs. At that point our MG shooter No. 2, Heinz Otterbein, was ordered by group leader W st to find out where exactly the Amis were at. He approached the house but had to run back immediately. A deflected bullet had hit his hand. Now I was MG shooter No. 2. We fired rounds after rounds of MG and submachine ammo at the house but couldn't drive the Amis out. When combat died down in the village and the screams for help of our wounded faded, group leader Wüst gave the only correct order: "Back to the railroad ditch!" Only 7 of us arrived there. Only now the scope of the disaster we had just faced really hit home. Hans Hantke who had been promoted to Rifleman First Class along with his friend Rolf Brockert when we were in Holland, was hit in the arm. Nevertheless he helped to carry the severely wounded Sgt. M rkens back to the aid station. He even hurled his broken MG 34 along. Rolf Brockert from Klingenthal had died. Lt. Harnisch and two comrades lost their lives to an enemy hand grenade. Helmut Schulte from Leverkusen was very fortunate. A grenade had penetrated the lower edge of his steel helmet and exploded in the neck area. But most of the splinters got caught in the two collars of the uniform jacket and in his yellow scarf. He would have certainly died had he worn a paratrooper helmet. Franz Bülte from Recke had an arm wound, received in J ngersdorf. Comrades had put bandages around it. On his way to the aid station he happened to fall down and lie next to Matthias Grendel in a fruit orchard. Franz talked about how he had taken a hit that would send him home and how he might even be home by Christmas. Then, a bullet struck him in the forehead and he died in an instant. Horst Spreyer remained down, inside the village, he played dead. Later, when things had calmed down, he crawled back to the railroad embankment. Of these personal fortunes I knew at the time already. Still at the embankment we began to reload the emptied-out magazines for the assault rifles. The two infantrymen were still there. They told us how they had fired as well during the battle. I recall that one of us had a wound in the back! Rifleman First Class W st sent me to the battalion commander to report the breakdown of the attack. First Lieutenant Balfanz gave me two boxes of MG ammunition and the order to hold our position at the embankment. But I was just about to leave the command post, W st led the remaining soldiers of the platoon back in; they had left on their own responsibility. At that point there was quite a chaos outside the command post and the aid station because the latter now stood under water. It had to be relocated. A number of my comrades, some not wounded, had come there. Dr. Lachmann, the battalion physician, gave me the order to help the wounded during the retreat of the aid station. Under his command we moved cross-country, across meadows and fields to Echtz. A wounded comrade leaned heavily on my shoulder. I think it was Horst Gerlach. The sun had already come up when we reached Echtz. Fortunately, the enemy artillery spotter must have been careless because otherwise he should have really detected us. At the city limits a General of the Infantry (Engel?) waited in his jeep and began yelling at the non-wounded to get back out. I saw him in time and managed to bypass him. In Echtz I stumbled around hoping to find anything drinkable or refreshing, but to no avail. No jar of preserved fruit could be found and the thirst was terrible. Eventually, I went to the regimental command post and reported as dispersed from my unit. There I received orders to report with the Krad platoon (motorized infantry). I found them in some cellar and was assigned to a firing squad as ammunition carrier. They gave me an ammo box that could be worn on the back like a pack. The soldiers of the Krad platoon told me they were supposed to attack a forest area the following night. After some time the regiment's runner came back and told me that I had to get back to the assault platoon. "They are in a basement in Obergeich," he said. He was in a good mood. "I'll get back into the hospital," he explained, "my eardrum has burst. By the way," he added, "if you want to see your wounded comrades from the assault platoon again, go to that church over there!" There I found them. They were lying on straw in front of the altar. I left the village with an intelligence platoon that also needed to get to Obergeich. But it was just impossible. We had barely left the village, just made it a few meters up the road, when the enemy artillery started firing. An assault gun of ours was brought forward. Halfway there, a fighter-bomber suddenly came out of nowhere and dropped a bomb. We were sure it had hit the assault gun but after the dust cloud cleared we could see that the gun was indeed still intact because it had rolled on for a few meters. I stood in a doorway and observed the events when 12 enemy bombers appeared. They were flying at low altitude with their bomb traps already open. Immediately, I jumped down a stairway and into a one-man hole, my eyes glued to the sky. But we were lucky once again. The target lay a few kilometers in the rear. One of the bombers had been hit as we could clearly see when they came by on their way back. He went down in a flat curve but I think he must have made to the American line. Obergeich lay under artillery fire. We could easily see how the shells hit the steeple . In the embankment area, time and again, fighter-bombers were active. When it got dark I went into Obergeich along with the intelligence platoon. It had started raining. Under a hole in a gutter I tried to catch some water in my mouth. I was still so terribly thirsty. I went to the closest basement (Pütz). To my astonishment there were still civilians. An infantryman was also there but he was in a hurry to get out of sight. A courageous woman gave me milk to drink and generally soothed me. It is impossible to put into words how much that helped me and how it got my mind back from a strange place. I've never forgotten that woman. I fell asleep on a plank-bed. Since we had left Holland I hadn't slept much and so there was much sleep to be made up for! The next morning, when I woke up, the civilians were gone. So was the infantryman and with him my gun, which had been in great shape. He had left me a rotten stick of a gun instead. I found the battalion command post and my comrades of the assault platoon in the next basement (Schmitz). A few comrades had rejoined the unit since the disaster at Jüngersdorf, mostly those who had helped carrying the wounded back to the aid station. We had 15 men now. But of the 8 officers and NCOs only Rifleman First Class Willi Wüst was still left. We had been driven back into the flat land. The enemy held the heights that overlooked the terrain, foothills of the Eifel. His situation was ideal. He could observe us at all times and he dictated the course of events with his crushing superiority in numbers. We didn't have any connection open to the rear and thus we had to find our food in the neighborhood. We went on a search and found tons of packaged butter in the room next to a nearby cow-pen. Otto Hartmann, the small but wiry Private First Class slaughtered young pigs, skinned them, and fried them in a pan. Much livestock and poultry were still there. But more than hunger thirst was our main enemy. We drank the juice of pickles  and pickled onions. Out of the half-ready tank barrier next to the house we fetched water and boiled it. At this point Matthias Grendel had to go to the hospital with tonsillitis. A few days later supplies finally arrived from our train that was located in Frauw llesheim. First Sergeant Schüßler, our company sergeant was also around this time. Rifleman First Class Lothar Helbig, I knew him because he was from Schwerte, told us that the train had been caught in an air raid on Gemünd on 11/30/44. The enemy adjusted quickly to the new front line. If one was spotted during the day, grenade launchers were certain to be fired at you. It could have been very dangerous for a soldier to sit in the outhouse in the yard and to be forced to run for one's life in a grenade shelling. We couldn't even light the oven during the day because the smoke would give us away and shells were certain to follow. It was December 8. One of the runners wanted to improve his supper by shooting a chicken with his pistol. The American spotter observed that and immediately ordered the grenade-launchers to be fired. Our own artillery spotter was an innocent victim of this barrage. He had been in an attic when a large splinter smashed his leg. It was almost severed, only held together by a thin piece of skin. We took him to the aid station in Geich, in the light of day. For a stretcher we used a ladder. The aid station was in the basement of the school. The leg whipped back and forth during the transport, things were rocky. The lieutenant, who had a noticeable Swabian accent, was in serious pain. He begged us: "Cut the damn leg off! Is no one carrying a pocket-knife?" We managed to calm him down by telling him that it was only a few more meters to the aid station. We were four to carry him and a fifth soldier walked next to us, bearing a white cloth on top of a long stick. The enemy respected this symbol and did not fire at us. But as soon as we had reached the school, shells hit its front yard; this signaled the end of our little private cease-fire. We were very fortunate not to get killed when a shell exploded at the southern front of house Schmitz while we were hiding in the basement. It was early morning and I was awakened by a detonation. A grenade had hit the outer wall just above the stairway to the basement. It left a big hole. We ran out of the cellar and put a barn door in front of the hole. Then we supported the door with wooden planks that we took out of the tank barrier. We had exhausted our guardian angel for real this time. Whenever I try to imagine what would have happened had the shell exploded just a second later, cold sweat still breaks out. One day, I think it was 12/8/44, the Amis fired at us with a heavy-caliber gun. They must have targeted the cellars because they used bunker-breaking ammunition. We could clearly hear the gunfire and then we had to sit and watch how the shells came closer. It was nothing for a guy with bad nerves. House Johnen, just across the street, absorbed a direct hit. A combat post had been in the cellar (10th Company?). The impact was horrendous. We ran across the street to help, our medic right in front. We had crossed the street half-ways when another bunker-breaker came howling in and hit close by. The cellar was in shambles. I can still see how the wooden stairway had been completely bent  backwards, with the lower end now pointing to the sky! And I can also still see the wrinkles on Rifleman First Class Müller's forehead, the look on his face when he died. A little while later our medic also got hit. He was somewhat older, I can't remember his name. He was a nice guy, kind of quiet, put nothing ahead of his duty. A direct hit had whirled up rocks and soil and some debris penetrated his leg from foot to thigh. Additionally, the thigh joint was bent by 180 degrees. The comrades hurled him down into the basement. He was in severe pain. Even Gerhard Becker, the orderly of the battalion commander, an experienced and hard-boiled warrior, showed compassion. He took a morphine shot and put it right into the medic. We were all very sorry that our medic had been wounded so badly. At another occasion the Amis fired from a tank, which was positioned right at the forester's house at the edge of the forest. The shells came flying in just above ground level and hit the basement. A radio group was in there. On of the soldiers came running. He had gone mad, all he could say, or rather shout was: "A flash! An Explosion!" He was so shaken he even sounded like another man. Right where the terrain began to rise to the foothills, above Jüngersdorf, stood a single house, the forester's house. It was there that the enemy had positioned a tank that now came out his covered position occasionally and fired at select targets. One of our assault guns was ordered forward to a haystack in the middle of the field. The objective was to take out that tank as soon as it showed up again. But the Amis detected the assault gun and starting shelling it. One of the crewmembers reached the battalion commander. He was in a deplorable state and reported that all other crewmembers had been taken out. Now we had only one assault gun left! Now we, the assault platoon, were ordered to deploy a reconnaissance group to take out that blasted tank at the forester's house with grenade launchers. But that group, including Karl Wawer, was detected prematurely by the Amis and subsequently the target of their guns. They had to retreat, the operation had failed. 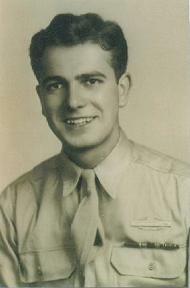 On 12/6/44, Himmerich, who had been on an extended vacation at home, came back to the platoon. That same night he had to join a reconnaissance group. The Amis detected them and fired at them with heavy mortars. All of the men came back safe and sound and Hans Himmerich hadn't even lost that pleasant smile on his face. As every night, there was a reconnaissance operation going on 12/7/44 --- always along the same route as the day before. This time I had to go. Willi Wüst, Hans Eckhardt, and Heinz Ufer were also part of it. I don't recall the name of the fifth comrade though. The battalion commander had given us orders: "Bypass the enemy's advance position! Try to get behind enemy lines! Find out about their intentions! Stay back there for a day or two if possible!" I felt weak in the knees and thought to myself how that was quite a task. We went out, a pilot led us through the mine-belt. Then, down into the ditch. We approached the enemy's advance post very slowly. It had been set up in a farmhouse near  the road. But that post was manned by more troops than we had estimated. We could distinguish the single soldiers by their lit cigarettes. Heinz Ufer and Hans Eckhardt got the order to fire their grenade launchers at the Amis. They got up in the open field and fired with a big bang. A fire started that should last deep into the night. We ran back to our own lines where we reached safely. Group leader Wüst now had to lead every single reconnaissance operation. He was a splendid chap. I am absolutely convinced that his poise and his will to survive were critical to my own survival of the battles around Langerwehe, Jüngersdorf, and Obergeich. I will be thankful for that for the rest of my life. The last few nights we had heard engine noises and the sound so typical for chain-driven vehicles. The noises were coming form the enemy. They were preparing a major assault. We knew what lay ahead. And we were right, unfortunately! On 12/10/44, a Sunday, the time had come. All companies reported: enemy advancing! Once again the order came in: "Assault platoon march!" All day long detonations and explosions, that was all we heard. Artillery, grenade launchers, tanks, fighter-bombers with bombs and on-board guns, they all made our lives to a living hell. It was a nightmare situation. We ran through gardens, yards, stables, kitchens, living rooms, bedrooms. We crawled through sewers and puddles of phosphor and we fell over bloated corpses of cattle. Tanks stood on fire and they burned like smoking barrels of tar --- we could see them through the artificial clouds. The shrieking, rumbling tanks of the enemy closed in. But their advance was rather tentative and we tried to stop the tanks in the area that is today known as Kreuzstraße. Both of our anti-tank guns had long been lost. The assault gun was hidden on farm Kortz to the left, at the exit of the village toward Geich. It couldn't be brought into the battle because there was no gas left. I got the impression that the crew was quite happy about that despite its highly decorated commander who had received the Ehrenblattspange. We had taken cover in the cow-pen of the old farm. When we saw enemy tanks passing, toward Geich-Echtz, group leader W st sent me to the battalion commander to report the dangerous new situation. The commander stood fast: "Defend that cow-pen," he ordered. We knew what that meant and thus we destroyed our account books. Meanwhile, our own artillery had started firing at and near our position. Cadet Ullrich took a head wound, very serious business. The Americans had come quite close by and so the comrades decided to take him to the basement. There they left him on the ground with a note for the Americans attached to his chest. When the Americans had reached the front yards of what is today's Kreuzstraße, Rifleman First Class Wüst yelled out the order: "Retreat! To the other side of the road!" We ran across the road that is today called Beethovenstraße, between houses down the street, and full of hope to escape in an eastward direction through the open field. As we had just passed the gardens and reached said field we realized the catastrophic situation we were in and it nearly paralyzed us: the enemy had already advanced northward on the east of the village. We ran, ahead of the Amis who now started shooting at us out of all barrels. Willi Wüst was about 15-20 meters ahead of me. My intention was to just keep running, to defy the gunfire. But when everybody else seemed to have stopped and the bullets came ever so close, I fell down, no strength left in my body whatsoever. It felt like an inner break had just been pulled and I was like paralyzed. I saw a shell-hole, just 3 meters form where I had collapsed. I inched toward it, in slow motion, my limbs feeling like lead, there was no way I could have moved any faster. An enemy rifleman now targeted me. I could hear the bullets circling my head. Strangely, my thoughts turned to defiance: "Shoot, just shoot as often as you want. You won't hit, you can't kill me!" He tried about four or five times. Günter Mittelstedt was already in the shell-hole. The first thing I did upon reaching there was to grab my water bottle and still my thirst. While drinking I saw shrapnel exploding above us. Günter Mittelstedt and I just lay there, gasping for air, just barely escaping death once more. A third comrade, who had been far ahead, suddenly stood on top of the hole, his hands up in the air and said: "Guys, give it up, it's hopeless." The two of us got out the hole and what we saw drove reality home: the Americans were everywhere and they were rounding up our soldiers. The Americans who I saw pointed their guns at us and looked grim altogether. They looked like they were even more afraid than us. In the midst of all that noise and debris I broke down in tears because I had to think of my poor mother. My comrades calmed me down and helped me a lot. First, we were led to an American aid station. We were supposed to carry a wounded American soldier back to the rear. As we tried to lift the makeshift stretcher it broke. Our artillery was still firing at this area. Now, two of us were supposed to aid and American soldier, who was slightly wounded. We did reach the exit of the village but our artillery kept firing and hit a prisoner treck just 100 meters ahead. Our Ami got scared and we returned to the aid station. Günter Mittelstedt cam running right at us. He had been in that prisoner treck and he had been hit in the back of his head, by our own artillery! Eventually, and American took me and Horst Spreyer to Langerwehe. The guy was originally from Bremen and he told us that all of us would be sent to America as prisoners of war. We passed house Barrier that we had used three days earlier on reconnaissance duty. Then we saw the American supplies and reinforcements and we were shocked. And the tanks! We counted more than 80. Suddenly, an FW-190 appeared, hard to detect at low altitude. It just dropped two bombs. The Americans aimed a huge barrage at this one plane that actually got away by referring to a zigzag course. We asked ourselves what the Americans had done with this enormous superiority all day? The main-combat line was right around Obergeich after all! One day later, when even the fire of the American artillery could no longer be heard, that tremendous strain on my nerves slowly disappeared and the horrible fear of death also vanished. An unknown future lay ahead of us. We all knew of the Morgenthau plan. Field-post number 50510 A LPGA Unna/ Westphalia.